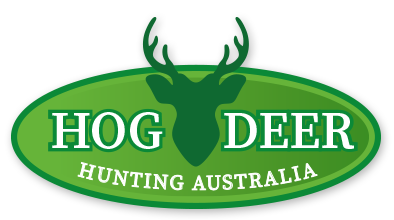 Hog Deer Australia Hunting East Gippsland have the best privately owned Free Range Hog Deer property in Australia due to our pre hunt preparation and infrastructure during the year prior to the hunting month of April each year. We live on the unique property which allows us to observe the Hog Deer all year round. Hog Deer Australia again acheived 100% success for the April 2018 Hog Deer Season with all hunters being extremly happy with their Trophy Hog Deer Stag. We always get fully booked out for the Hog Deer Season of April each year, we are already fully booked for April 2019. We suggest that any hunters that are interested in the Hog Deer Season April 2020 contact us as we only have 2 spots left for 2020, we already have 5 bookings for Hog Deer Season 2021,as we only harvest a small number of trophys each year this allows us to keep the Quality of the trophys to a high standard. We work on a 3 day hunt incase of inclement weather but most hunters harvest their trophy within the first 2 days and want to go home with the meat so the meat does not get spoilt. We encourage all hunters to arrive the day prior to their booked hunting date so that they can be settled in and ready to hunt at daybreak the next day for their Free Range Hog Deer Trophy. We have just installed a number of Wireless Solar Infra Red CCTV Cameras as well as Hidden Cameras That Send Photos To Our Mobile Phones And Computer which also tells us if there are any POACHERS WHO ARE REGARDED AS CRIMINALS AND GAME THEIVES TO THE GENUINE LAW ABIDING HUNTERS Sneaking around throughout the property this allows us to monitor the Hog Deer and the property at all times during the day and night this gives us information as to where to locate the Deer and what times of the day or night that they are feeding.